Our Michigan sports injury and accident lawyers strive every day to provide the highest level of legal representation for every person we speak with. 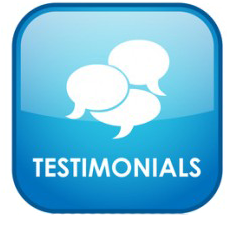 On the page below you will find reviews from real people about the experience they had at our law firm, and what it was like to work with our attorneys. Find out why we are the most trusted sports injury lawyers in the state of Michigan! As always, if you or a loved one have been injured in a sports or recreational activity, we encourage you to call us at (800) 606-1717 to discuss your case. You may be entitled to a significant settlement! It costs nothing to speak with our attorneys and find our if you have a claim, so get started today by giving us a call! "Our attorney, Robert J. Lantzy, was always available to take our calls, kept us updated very frequently and advised us thoroughly throughout the lawsuit process." I appreciate the fact that he and his staff kept me apprised of the status of my case and consulted me at all stages along the way. Bob vigorously represented my interests. The settlement was better than I expected, but right in line with what he told be originally. I was sorry that I needed him, but was glad to have him on my side.